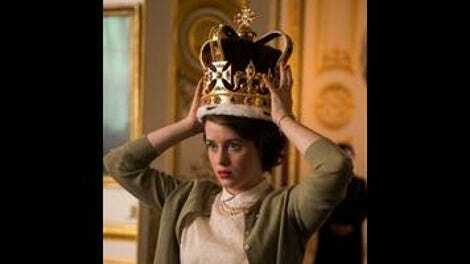 With The Crown, Netflix takes a surprising leap into an anglophile world perfect for those who are counting down the days until Sherlock’s 2017 return, who kept watching Downton Abbey even after it started indiscriminately offing people, or who have seen every single incarnation of Doctor Who. But The Crown takes a more somber, historical bent than any of these, offering a fascinating look at life inside postwar Buckingham Palace. Fortunately, we see this life through the eyes of young Elizabeth (Claire Foy), who’s more concerned with life as a besotted newlywed, married to dishy Philip (Doctor Who’s Matt Smith), than matters involving national affairs. Her father, the beloved George VI (the beloved Jared Harris), appears to be handling the postwar world amicably, except for the fact that he’s spitting up blood. As his time draws near, he sneakily tries to give his heir some guidance as to what she’ll soon be in for, without alarming her about his upcoming demise. This scenario is expertly fleshed out with actual events: Princess Margaret did have a flirtation with Peter Townsend (Ben Miles), a member of her father’s staff. Anthony Eden (Jeremy Northam) was eyeing that future prime minister seat after Winston Churchill finally stepped down. Best of all, Churchill is as much a character as you’d expect him to be (insisting that his young assistants read him reports through the door while he’s in the bath, for example, smoking his omnipresent cigar) delightedly and delightfully portrayed by an almost unrecognizable John Lithgow. But the royal family takes precedence, and given all it has to deal with, it’s portrayed to be as solid a unit as could be expected under the circumstances. George and his wife clearly still love each other. Margaret and her father sing charmingly at the piano. Elizabeth and Philip are dealing with home renovations. Elizabeth’s mother and grandmother discuss her future and dis their in-laws. But everything they’re surrounded by makes it so fascinating to watch: They never dress themselves, but have a staff to do so. On hunting trips, they don’t load their own ammo or carry their own guns and are driven back to the castle while everyone else has to walk. Even when they’re attempting to have private conversations, there’s always at least one servant around. It’s an almost completely insular, claustrophobic existence, made even more intriguing by the fact that this series is dated from only a few decades ago, making us feel like we’re finally privy to secrets that have been clouded for centuries. It soon becomes clear that the family is so close because, for all intents and purposes, they really only have each other. Who else knows what it’s like to be a princess of England but Elizabeth and Margaret themselves? So it’s almost a relief in episode two, when Elizabeth takes over a multination diplomacy trip for her ailing father, starting in Africa. Instantly her world expands immeasurably, and the cinematography here of the African wildlife—like a late-evening elephant walk—is spectacular. 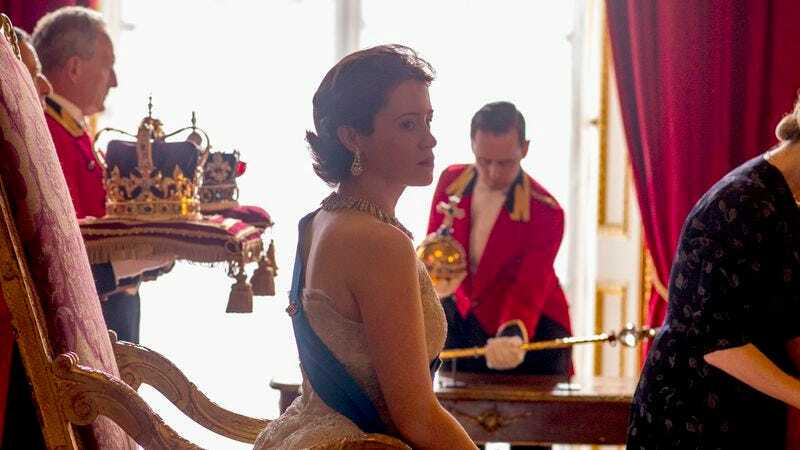 The Crown continues Netflix’s current streak of high production values (The Guardian says the series is a £100 million project.) Creator Peter Morgan has already written about Elizabeth in 2006’s The Queen; he’s aided by directors like The Reader’s Stephen Daldry, who so artfully captures Africa here. The breathtaking photography ably demonstrates how much her new position will open up Elizabeth’s world; future weeks will show how she manages to shoulder these opportunities with so much responsibility. For the non-Brits among us, it’s interesting to see how the monarchy may function as more than a figurehead in 1947, even as the prime minister and Parliament meet while the king goes duck hunting yet again. Still, England has a strong loyalty to its royal regime, and the centuries-old traditions—after Elizabeth is queen, she must walk out of a room first to greet the public, as her husband or sister trail behind—remain riveting to witness. Given the recent crop of horrifying Windsor-based TV movies attempting to capture the romance of Wills and Kate or the tragedy of Diana, The Crown easily rises far above, adding a cinematic quality to a complex and intricate time for an intimate family. The performers and creators are seemingly up for the task. What will unfold over the course of The Crown is whether Elizabeth is as well.